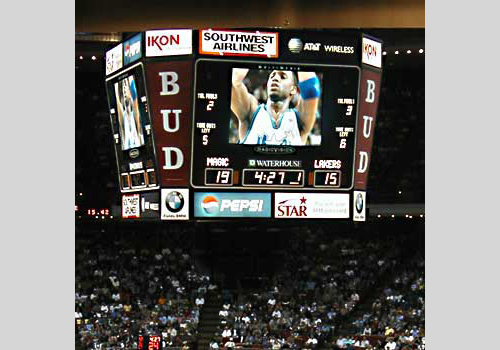 AD Systems has provided scoreboards for NFL, NBA, MLB, NHL, NCAA… as well as high schools and junior colleges. 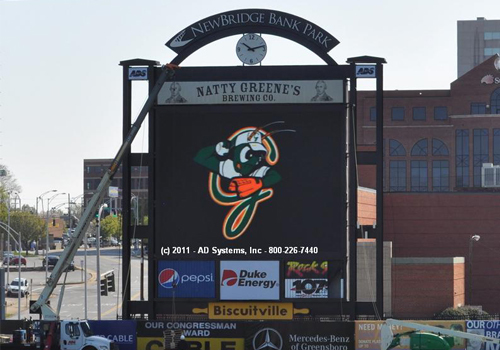 Greensboro Grasshoppers, now featuring a new 16mm outdoor Full Color LED Videoboard. 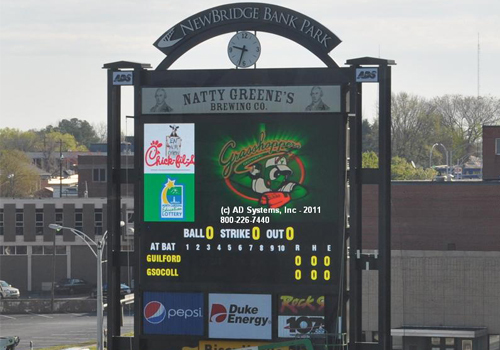 Greensboro Grasshoppers, with Zones, Live Video, Virtual Scoring, and Virtual Ad Panels, offers a new and flexible variety of sponships! 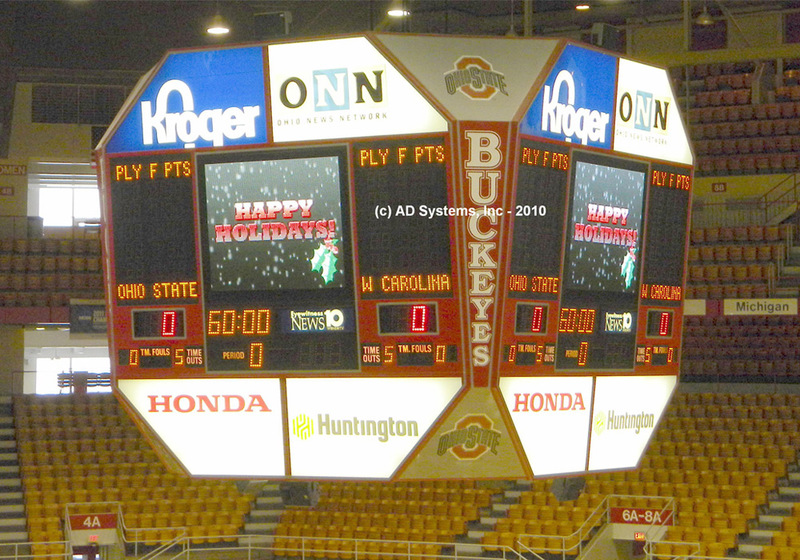 Ohio State University, now sporting a four New LED faces on their Center Hung scoreboard. 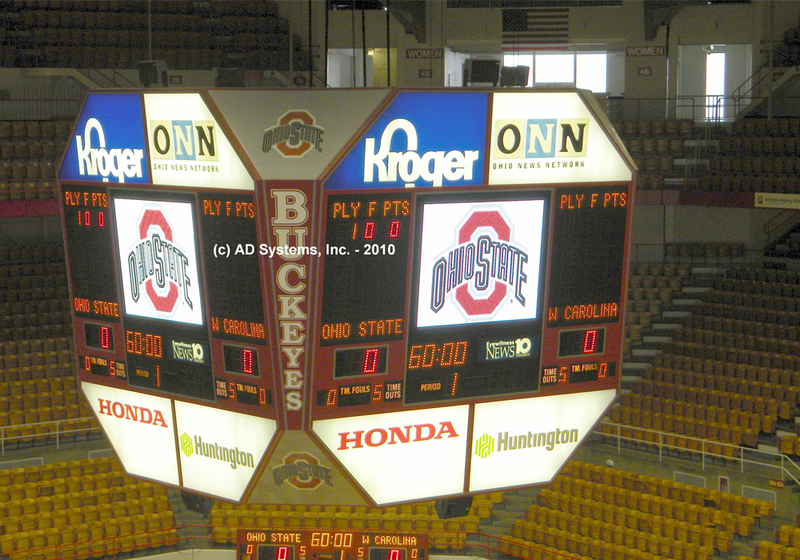 Ohio State’s new four-sided Center Hung looks sharp and spectacular! 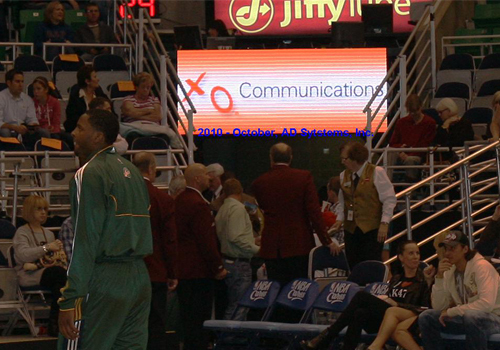 Energy Solutions Arena, Salt Lake City, UT home of the Utah Jazz now sports a12mm 168×560 Full Color Outdoor LED Video Board. 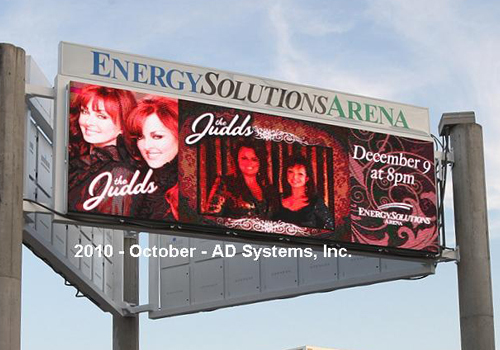 Energy Solutions Arena, also added Four Indoor 10mm 96 x 240 LED Corner Displays for Sponsor Ads. T.D. Waterhouse, Orlando Magic (NBA). 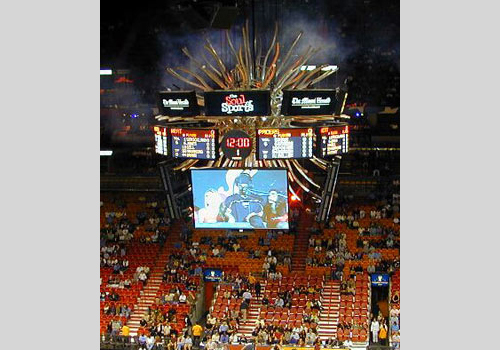 An LED display screen is the best way to watch your home team. 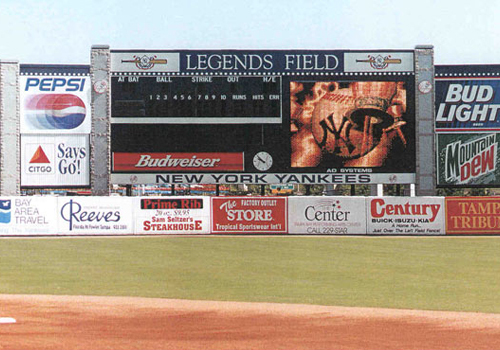 Legends Field, NY Yankees (MLB). 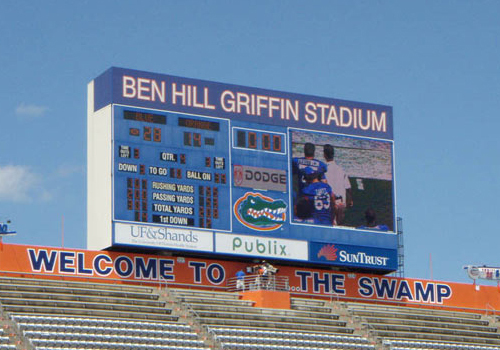 Computerized, animated scoreboards enhance you game experience.